For those who practice Mindfulness, living in the moment is about appreciating the here and now. It takes patience and a bit of training to be able to fully welcome the stillness of mind and body required to be completely ‘present’ in the moment. At Milestone Retirement Communities, In The Moment® is a branded Memory Support program for residents living with Dementia (note the purposeful use of the word support in Memory Support). Just over two years ago Milestone Retirement Communities made the shift away from the historically clinical descriptive words like Dementia Care and Alzheimer’s Unit with the goal of being an industry leader in recognizing that descriptive words matter. The In The Moment program is based on a 6 Principles of Well-Being design. These Principles guide how activities are structured, care is delivered and meals are prepared. Additionally, the vision includes infusing more holistic wellness practices into daily operations, with a variety of Signature standards and initiatives that feature non-pharma first interventions. One of the premier initiatives for the residents in Memory Support is Taste & Tell®. 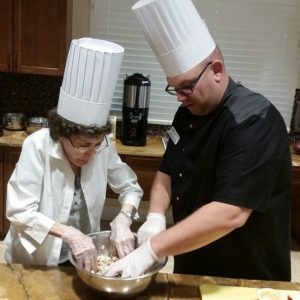 This propriety Signature program for Milestone Retirement Communities is a culinary collaboration between the Memory Support Director, the Culinary Services Director and the residents. The goal of this program is to capture as many of the 6 Principles of Well-Being as possible in one unique resident experience. 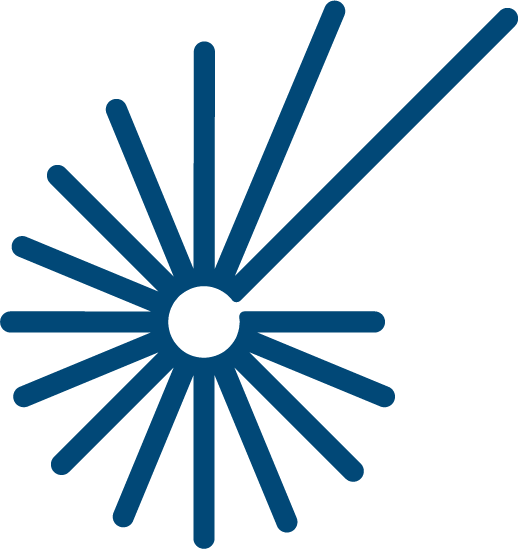 Spiritual Support, Physical Engagement, Continuing Education, Lifestyle & Leisure, Artistic Expression and Community Connections can all be achieved within a well-planned Taste & Tell session. Memory Support Directors are asked to take the lead and schedule regular meetings with the Chef or another member of the Culinary team to strategize about upcoming Taste & Tell gatherings. Might they feature a specific food item? Might they share an updated kitchen tool or gadget that triggers reminiscent conversation? Once the culinary ‘topic’ is determined, each Director has a role in ensuring a successful Taste & Tell outcome. Imagine a small group of residents working side by side with the Chef, as they cut veggies and mix the meat for the Salisbury steak that will ultimately be their dinner. The Chef pulls out the 4ft industrial mixer from the ‘back-of-house’ to the amazement of his resident-helpers. This sparks a robust conversation about how the 4ft version compares to the hand-held mixers of yesteryear. Smiles are seen, laughter is heard and a small group of other residents and employees gather to observe this lively culinary crew. Imagine a female resident complete with her crisp white Chef hat and jacket, working alongside the Chef nearly elbow deep in the Italian sausage that will eventually be rolled into meatballs. 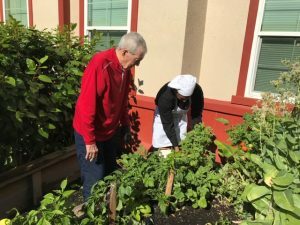 Picture the Chef outside on a sunny afternoon in Florida picking veggies and herbs from the raised flower beds with a male resident from Memory Support. The two are gathering the fresh ingredients that will be used in the Taste & Tell program later that day. The program outline for Taste & Tell was just one page but the directives were clear: Create a robust participatory hands-on experience where residents with Dementia can engage in kitchen-style cooking while learning, reminiscing and tasting their creations! The images and stories being shared have been heartwarming. Seeing residents engaged in ways not typically shown in Dementia settings, is a great sense of pride for our organization. The participating Chefs are expressing a renewed sense of satisfaction as they step out of their kitchen cocoon and interact in new ways with the residents while showcasing their talents. For those living In The Moment with Dementia; Taste & Tell has been an overwhelming success. Food, fun and fellowship: the perfect mix of ingredients.